TICKETS: ON SALE – BUY NOW: CLICK HERE! We’re extremely proud to announce, that the next Elements will be in the brand new edition of K.B. HALLEN, saturday 5th October 2019! We can with certainty say, that it will be the biggest and wildest event ever! Two of the best 3D mapping teams in the world, are already booked for this massive event. 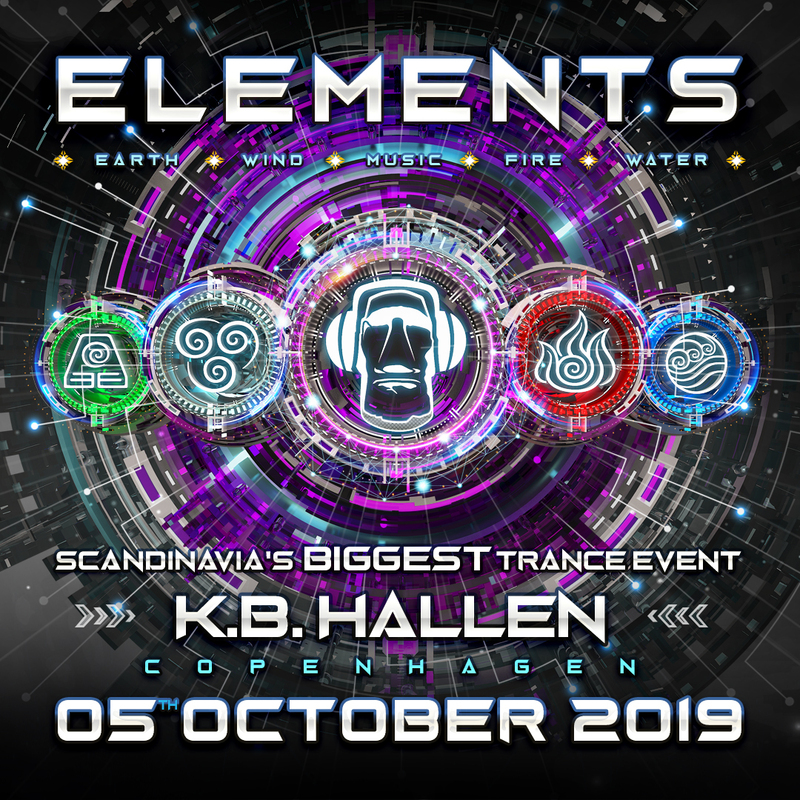 DELTA PROCESS & TAS VISUALS will for the first time work together at Elements and they’ll will certainty deliver an show you won’t ever forget. The decoration will of course be provided by some of the best teams in the world, MAE MOA and 4DVISION will transform the enormous K.B. HAL into a whole new world, full of beautiful decorations and worldclass artwork, which will give your eyes an extraordinary experience, perfectly combined with the magical Trance music, playing for your ears. We are looking forward for an exciting journey inside of this legendary location, which is architectural designed and build with the latest acoustical sound materials, specifically made for large music events. Don´t miss this opportunity to be a part of this amazing adventure, that will take place saturday 5th October in the mighty K.B. HALLEN in Copenhagen. Get ready for a night and show, that you’ve never experienced or seen in Denmark before.